Green marble is the main feature of artist Tom Dixon’s latest work. 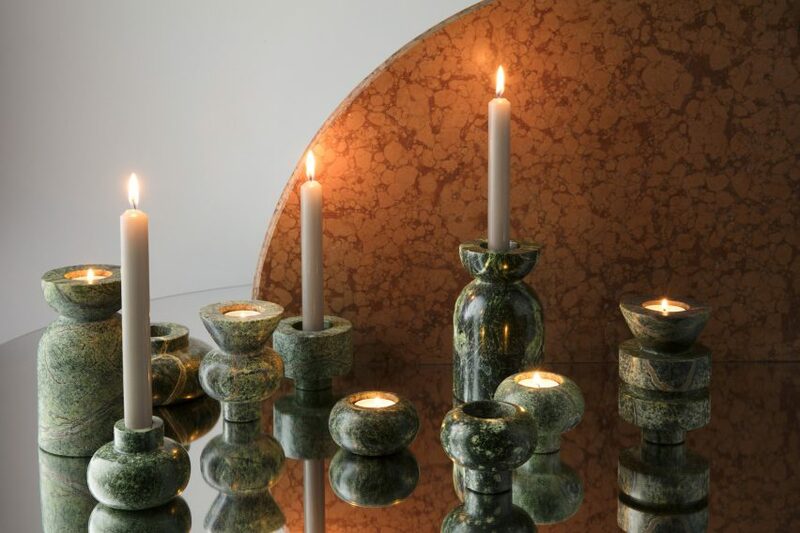 Tom Dixon has created a collection of candle holders and serving plates. All are crafted from Rainforest green marble sourced from India, called ‘Rock’. 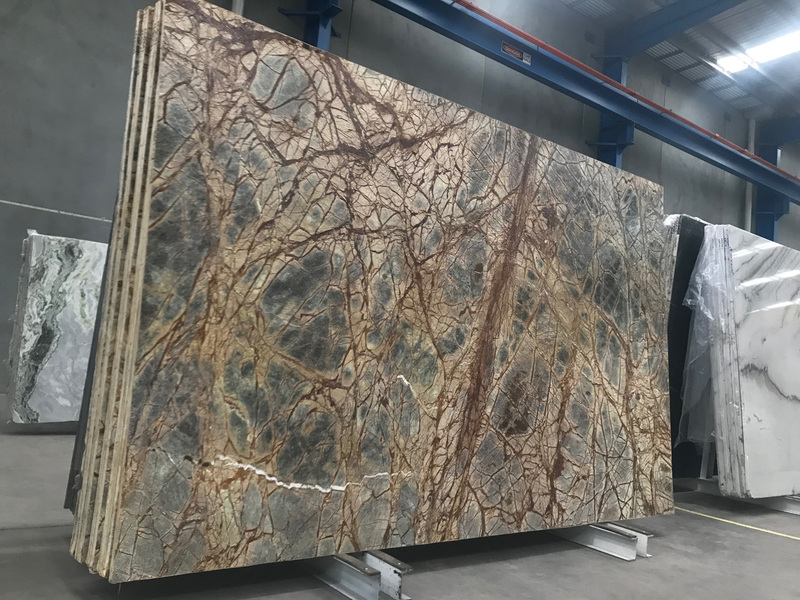 The marble has a deep green base with stretching and sprawling brown veins. 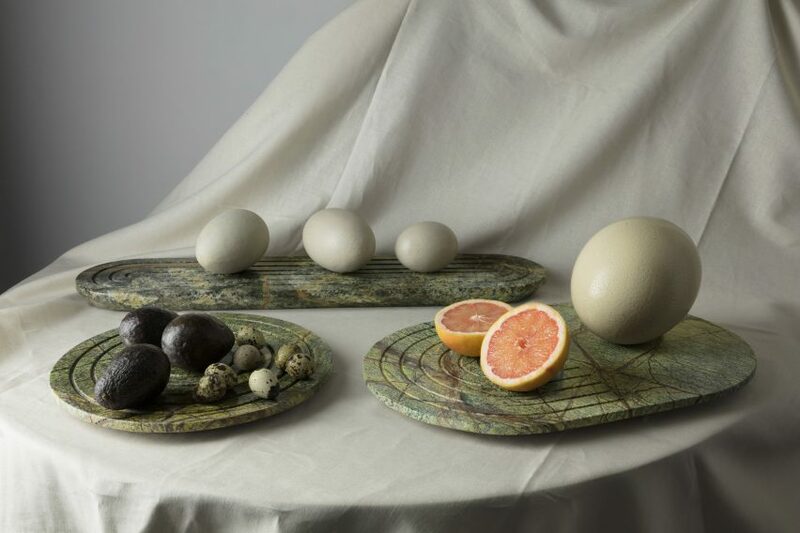 It includes two different sizes of stackable candleholders, three different shaped chopping boards and platters with grooved surfaces. Dixon’s many trips to India inspired the work. It was where he observed the hand lathe workers of Rajasthan and Agra. Marble is a natural stone, so each piece is totally unique. Because of the stones uniqueness, the pattern and texture of each piece in Dixon’s work is entirely one off. 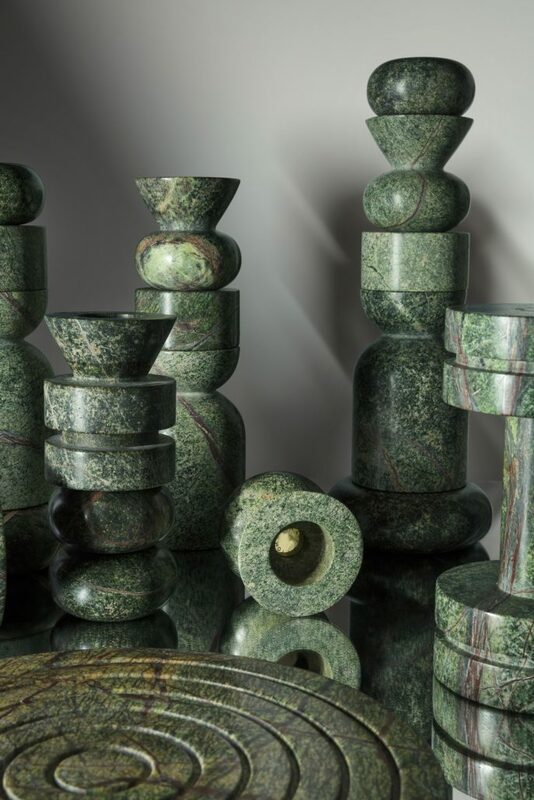 Dixon has worked with Rainforest Green marble on numerous occasions in the past with the studio describing his relationship with the material as a “love affair”. Rainforest Green marble comes in other grades and colours, Rainforest Brown and Rainforest Multi. Because we love this marble so much, we have decided to stock the full range. This stone is perfect for benchtops, fire surrounds, bathrooms, reception or office fit-outs and more! You can shop Rainforest here. You can also check out our post about other hard marbles from India, and how they perform closer to a granite. A Blue Marble Must 'Sea'!